As the ice begins to melt on lakes throughout the region, our attention moves from ice augers to outboards and the anticipation of the open water season to come. As anglers, we have an opportunity to seize this window to set the stage for a successful season. There are a few simple things that we can do now that will contribute to that success. Taking a little extra time can help you avoid an episode at the boat ramp when equipment is failing and there is a line up of other anglers waiting for you to quickly load up and exit the access. As a child we likely had a steel or plastic tackle box, loaded with some hooks, sinkers, bobbers, a few spinners and a crankbait or two. As we grew older the single tackle box gave way to multiple tackle bags and eventually, we moved our gear into a boat. That boat, or one to follow, is the center of our fishing world. It contains all of the equipment and gear that is needed to for the outings that we will take from ice out until the lakes and rivers freeze back up next fall. Our first recommendation is to start from the ground on up. That is, take a few simple steps to ensure that the trailer that will haul our boat from our driveway to the lake and back again is equipped to do it’s job. Take the time necessary to hook it up to your tow vehicle and check all of the signal lights. Walk around the trailer as your test blinkers and brake lights to ensure that you will be transporting your boat safely, and legally down the road. Secondly, check the wheel bearings to ensure that they are properly greased. It is recommended that we re-pack the bearings every two to three years on a standard trailer. If you are skilled mechanically, it can be done in your own shop or taken to a marine dealer or mechanic to be completed. Lastly, check the hitch, winch and tongue jack to ensure that they are all working properly. Each of these components are simple to replace in the garage or driveway with access to the proper tools. Moving to the boat itself there are a few things to check before putting her in the water for the first outing of the year. Always check the motor to be sure that it is full of lower unit fluid and that water did not seep inside. A “milky” colored fluid is a sign that you will want to have your marine dealer take a look to be sure that the seals are in good condition and not leaking. Check the prop to see if there is any fishing line wound around the propeller shaft. If left alone, this can damage seals and cause problems in the lower unit. We also like to fill the live well and bait wells with water from a garden hose to check for leaks in the hoses and fittings. With the plug in the live well, fill it up and let it sit for an hour or two. Then check the exterior drain plug in the hull. If the live well or connected plumbing are leaking, water will be draining into the hull and out of the drain hole. Lastly, always check your batteries to ensure that they are working properly. It is recommended that they be stored with a full charge in the fall. When taken out of storage, they may have lost some of that charge. It is a good idea to connect them to a charger again and “top them off”. Check each connection and the wire leads that are connected to the battery terminals to test for strong tight connections. Again, taking the time to check these items now can greatly reduce the potential stress of a failure on the first outing. Following the mechanical checks of the trailer, boat and motor we like to go through our gear and the compartments that it is stored in to be sure that we’re set for the upcoming season. The rod locker is one of the first on our list. This is the time to remove all of the rod/reel combos that you have stowed in the rod locker and give them some TLC. Wipe down fishing rods with a soft cloth and some furniture polish to bring back their shine. Take another cloth and some rubbing alcohol to clean up cork handles and bring them back to life. A third cloth dampened with warm water can be used to wipe the reels clean. Follow this up with a few drops of reel oil and new line and they are good to go for the season. This is also an opportunity to get the shop vac fired up and clean out the compartments before re-loading the rods back into their home. While they are out and being worked on inspect each one, checking the reel seat and line guides for any damage that may have occurred last season. Pull out those that need to be repaired or replaced before it’s crunch time on the water. 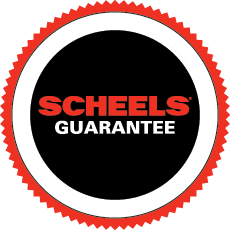 The SCHEELS Fish Fest will offer incredible deals on some of the best equipment on the market. Know ahead of time what you want in your arsenal so that you can be an informed consumer as you evaluate the products on sale. Tackle and other equipment compartments are next on the list. We like to pull out all of the contents of the compartment, vacuum it out and evaluate what needs to be repaired, replaced or replenished. We recommend taking cell phone pictures of all of your gear while you have it out each spring. In the unfortunate event that you are the victim of a thief or in an accident, you will have an accurate record of what equipment was in your boat, enabling you to submit a detailed list to your insurance company. Taking the time to check, repair and organize these items prior to the first outing of the year can prevent some major headaches. Trouble shooting any of these items is relatively easy at home or in our shop. And none of us wants to be “that guy” at the boat ramp on opener that everyone else is waiting on due to equipment failure. Most of all, enjoy fishing and the outdoors this season. Share your time on the water with family and friends, introduce a kid to the outdoors and soak it all in. Before long we’ll be talking about winterizing again and pulling our ice augers back out. Have fun, tight lines and be safe!